154 pages | 5 B/W Illus. 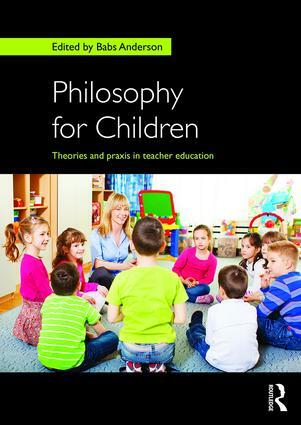 Philosophy for Children (P4C) is a movement that teaches reasoning and argumentative skills to children of all ages. This book looks at the progress that P4C has made in the UK in addressing issues of literacy, critical thinking, PSHE, education for sustainable development and wider issues such as bullying. This will be an invaluable guide for all those interested in P4C and studying courses on Early Childhood Studies, Education Studies and Initial Teacher Training courses. Babs Anderson is a lecturer in Early Childhood at Liverpool Hope University, UK and teaches on a number of Early Childhood undergraduate and postgraduate courses.